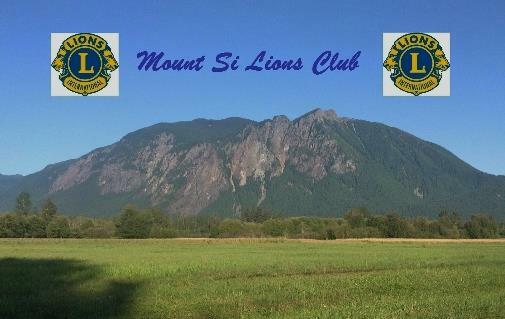 The Mount Si Lions meet on the 3rd Thursday of each month. Please check our club's calendar page in advance for location of meetings. 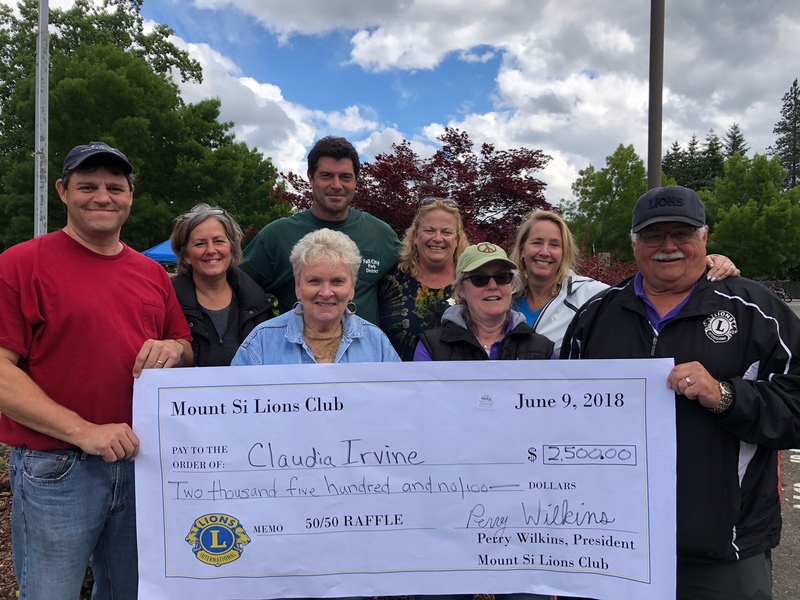 The Mount Si Lions Club is a community-based club made up of members from Fall City, Carnation, and Snoqualmie and has been very active in our community since 2011. Our club works closeley with the Fall City Community Food Pantry, YouthCare, Friends of Youth, among others. Our club provides special services to help meet the needs of our community. We conduct various programs in the community. These and other projects allow the Mount Si Lions Club to meet pressing service needs in our community. Thank you to everyone who contributed to our club service projects. Your support makes a difference in our community!